I admit that I have purposely ignored studying the sufferings of Job for years because the story scared me. 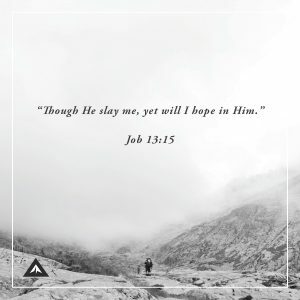 In God’s timing, the story of Job became incredibly real to me as I began to experience deep suffering in my own life. I am faced daily with the choice to either let the suffering accomplish the goal and purpose that God wanted in my life or let it crush and destroy me. I have recently thought that perhaps God put the book of Job in the center of the Bible for a reason. It is an example of faith when the place you never dared to imagine becomes your living reality. 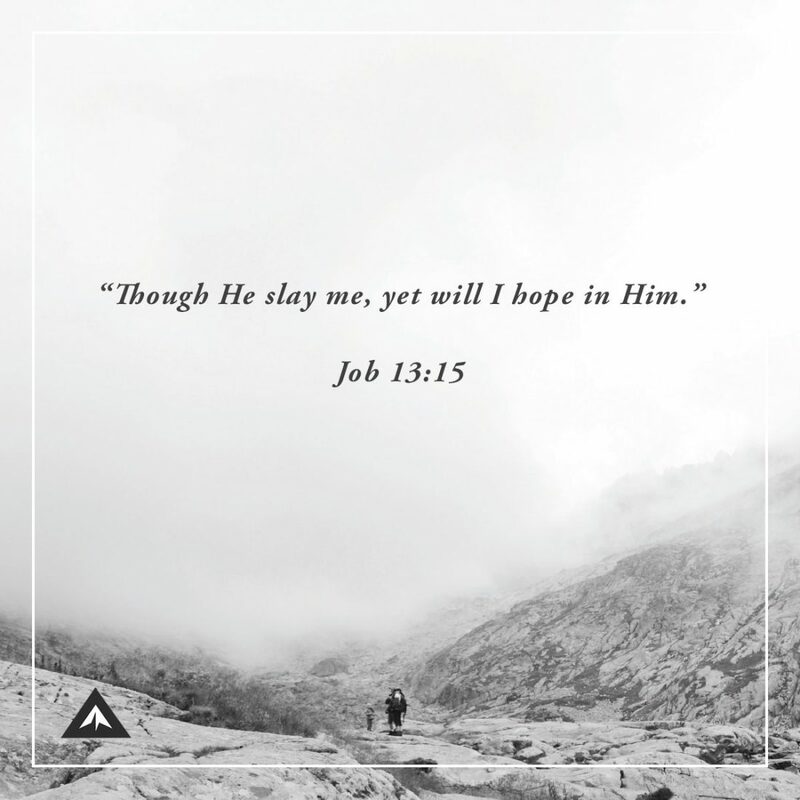 Perhaps God intends for all of us to use it as a “road map” on our journey through tough seasons, always keeping in mind that at the end of the road, Job finally “saw” God as he had never seen Him before and it changed his life forever. When all hope seems lost, remember that nothing is lost to the God of the impossible. Through Christ we have hope. This is the hope that separates believers from the rest of the world. Katie, great point. We see things so small but God sees the bigger, perfect picture! Thank you for reminding us of his possibilities. God Bless you and Go Hogs!